NOTE: My working hours on the site do not represent the whole practice. Dr Andrade works the morning shifts, please call 021 465 3706 to make an appointment with her if my times do not work for you. 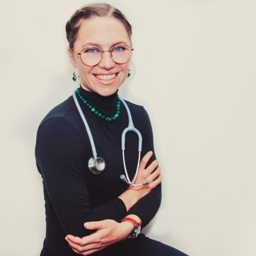 I am a general practitioner who is passionate about all that encompasses health. Whether it's prevention of disease, optimisation of an individual's physiology, or curing an illness. I believe in the biopsychosocial approach to wellness, and use my skills as a yoga teacher to include adjunctive methods of healing through physical practices, lifestyle choices and meditation philosophy. A multidisciplinary approach to health is essential and I am constantly growing my network of appropriate specialists or alternative healers. I treat every patient as an individual and understand that everyone has different needs and expectations. I am currently specialising in Sports and Exercise Medicine, for which my thesis is based on a yoga program designed for my patients. Watch this space for further information regarding this exciting project! I share a room with a wonderful and experienced colleague, Dr Adelaide Andrade. She practices in the mornings and I use the room in the afternoons, with the exception of Fridays, during which I practice all day. So if there is not a slot available online, please phone 021 465 3706 to find out what other slots the practice has available. So refreshing to be given good advice by someone who is up to speed with the latest research!